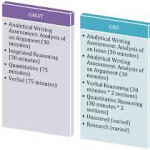 Online GRE Preparation is a widely used term these days and you may have wondered about the hullabaloo surrounding it. A walk through this manual would acquaint you with the basics of the GRE exam and the preparation towards achieving a high score. GRE stands for Graduate Record Examination. 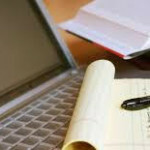 It is a computer-based exam conducted by ETS (Educational Testing Service) for students who aim to seek admission into reputed grad schools of the United States and Canada. Anyone, irrespective of age or qualification, can appear for the exam. But you have to keep in mind that the exam scores alone are not a yardstick to determine your admission. Each institute has its own criteria and you have to fulfil the eligibility criteria of the particular school before seeking admission. For example, if you want to apply for an MBA or any other master’s programme, you need to have a graduation degree beforehand; else your GRE Preparation and scores are of no use. As a part of the admission process, most of the grad schools except medical and law schools have made it mandatory to take the GRE test. The Admission Panel takes a close look at an applicant’s profile, his/her academic scores and recommendations, apart from his GRE score, before taking a call on the applicant’s selection. Going through the online GRE Preparation courses, you will know that the GRE exam doesn’t test your command over your subject. It is a general test which measures your command over vocabulary, your aptitude and reasoning skills. Though these are the skills which you have acquired over the years, you should still study for the test through the GRE online preparation courses, sharpen your quantitative and reasoning skills, and increase your vocabulary. These GRE online preparation courses have a self-paced structure and even a diagnostic test to determine your starting point for the preparation. You can do your GRE Preparation online sitting within the comforts of your home. In today’s fast paced world, there are several online GRE Preparation resources available for individuals who cannot attend classroom-based courses due to time-constraints. There are several free mock tests, sample tests, practice questions and other online resources which could aid you in GRE Preparation. Such online GRE Preparation courses offer recorded video lessons and topic-wise drilling sessions by GRE experts, so that you can go through them at times that are convenient to you. This sort of flexible online GRE Preparation course caters to working professionals who can study on their own- late in the evening or during their lunch breaks. Many grad schools have set certain minimum GRE scores as standard criteria for seeking admissions in their programmes. Hence, it becomes all the more necessary to prepare seriously for the exam if you want to get selected by the Admission Panel of the school of your choice. This post was really helpful. I found the information very useful.